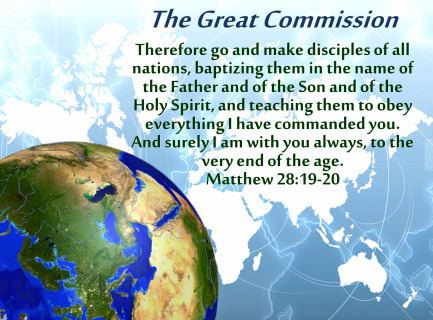 We believe and teach that the Great Commission is not an option to be considered, but it is our mission and is a command given by Jesus the Messiah to be obeyed. The passion of the Christian and Missionary Alliance is to tell the truth of God's love and mercy to each and everyone of us through His Son, Jesus. CLICK HERE to experience our vision, purpose, and mission. The worldwide view of the Alliance is infused into the local church. We will work hard to fulfill the Great Commission and be found faithful when it is all said and done. their Savior, you have a mission field.